Hello, Gaylynn here with a brand new stamp of the week. For this card, I repeated the flowers and gave them a watercolor look. I used soft colors for a rainbow effect. 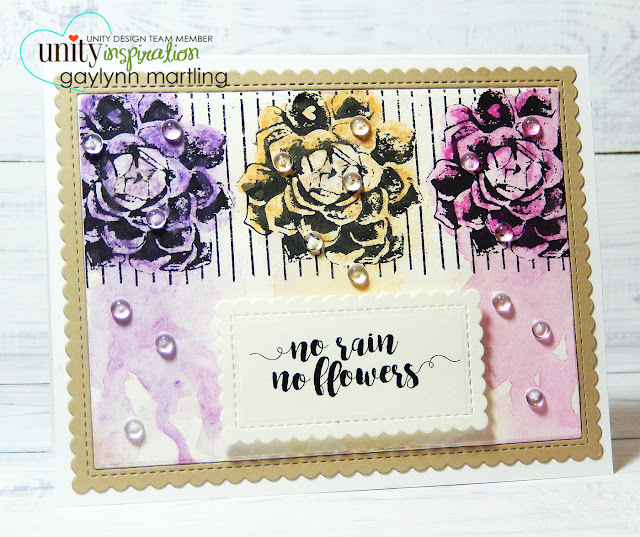 For a rain look, water droplets and watercolor drips were added. 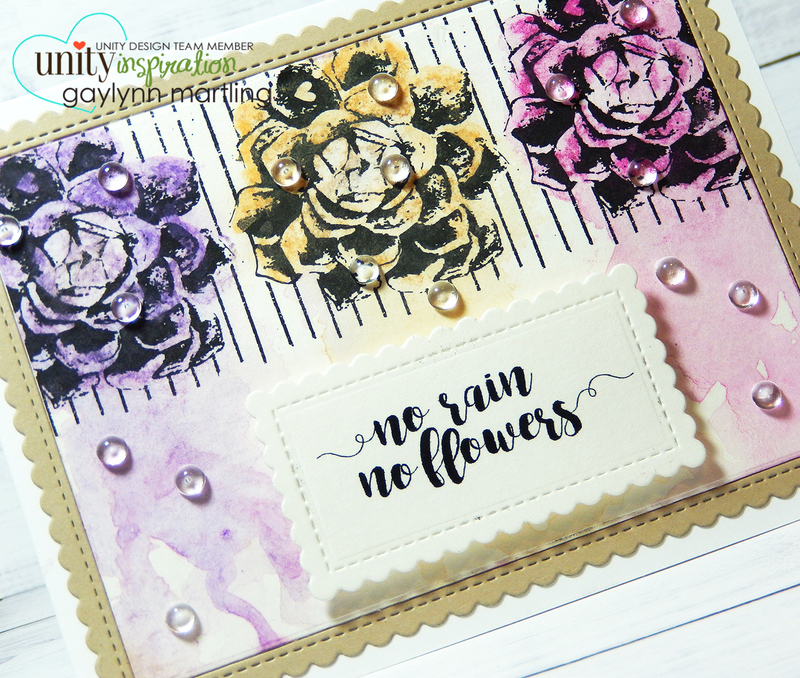 Here is the Stamp of the Week kit No Rain No Flowers. With Stamp of the Week, you get a brand new Unity package in your mailbox weekly. There are discounts and special perks for SOTW members. To see all of the details go to SOTW. Here is a closer look at my card for today.